I love ply. 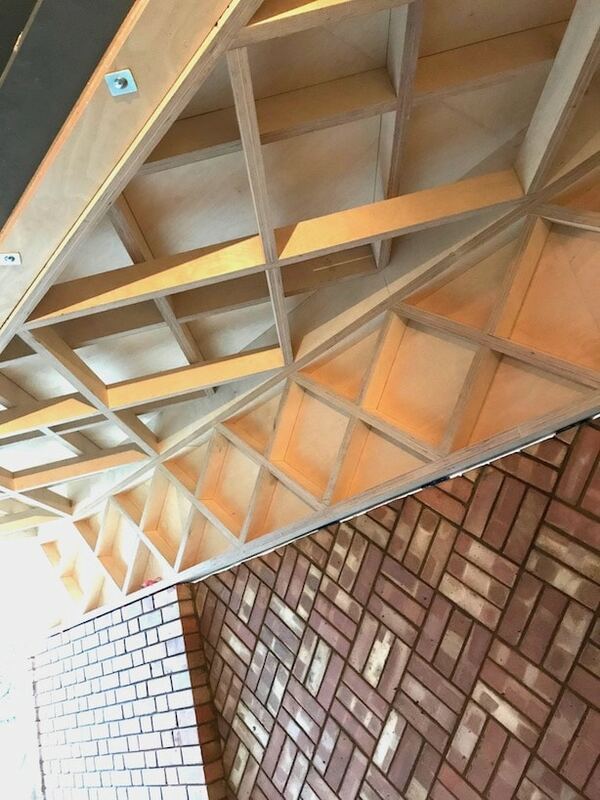 LM loves ply. 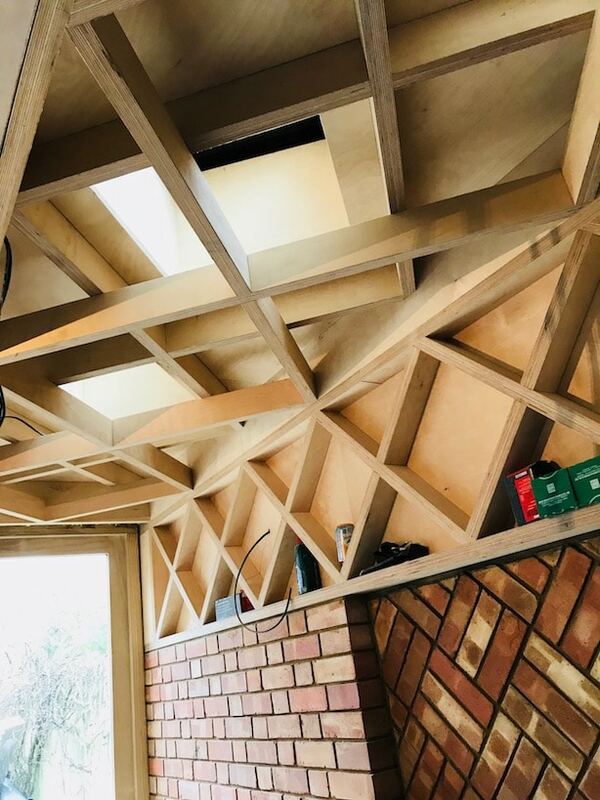 And luckily for us, our architects and builder also love ply. 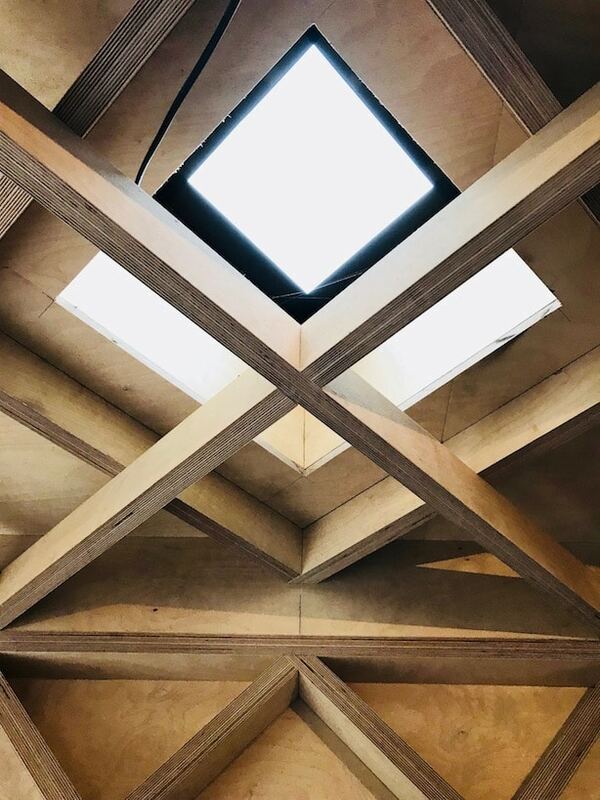 So creating a bespoke and beautiful ply criss cross structure under our skylights, was something we leapt at the chance of doing when our clever architects suggested it. 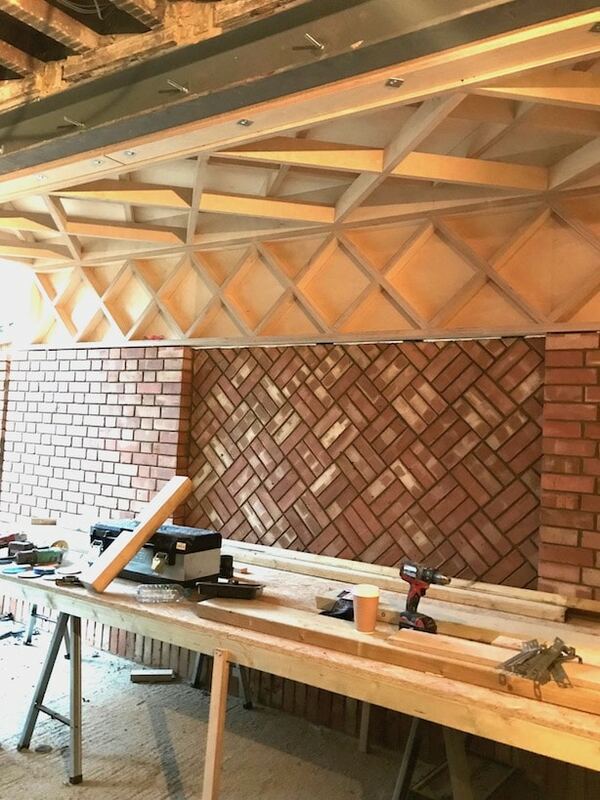 This structure and the new wall, which you can see here, were the first two things to appear in our new space, and both knocked our socks off. 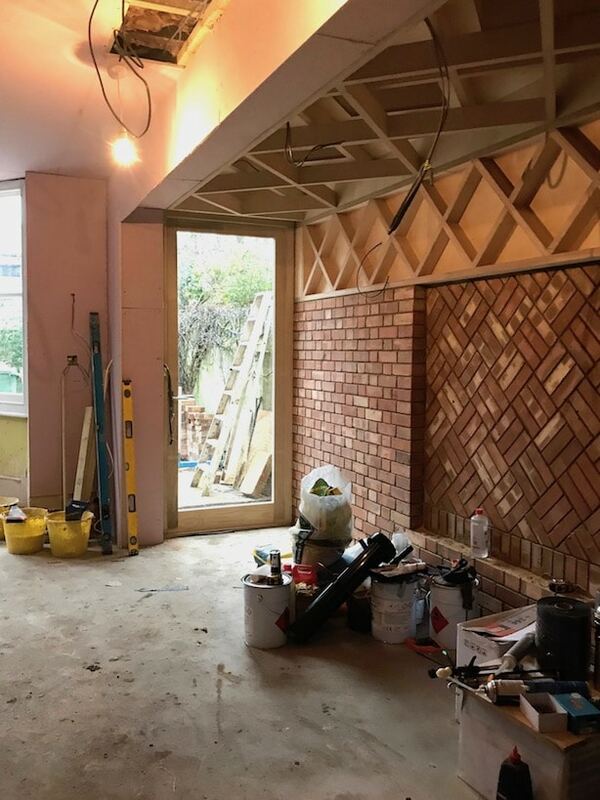 It was so daunting to see the house smashed to bits when we first began the side return extension, but now the wall was up, the structure was built and both features were special. Unusual. And exactly what we had hoped for. We’re so pleased we kept the original Victorian bay window as well. 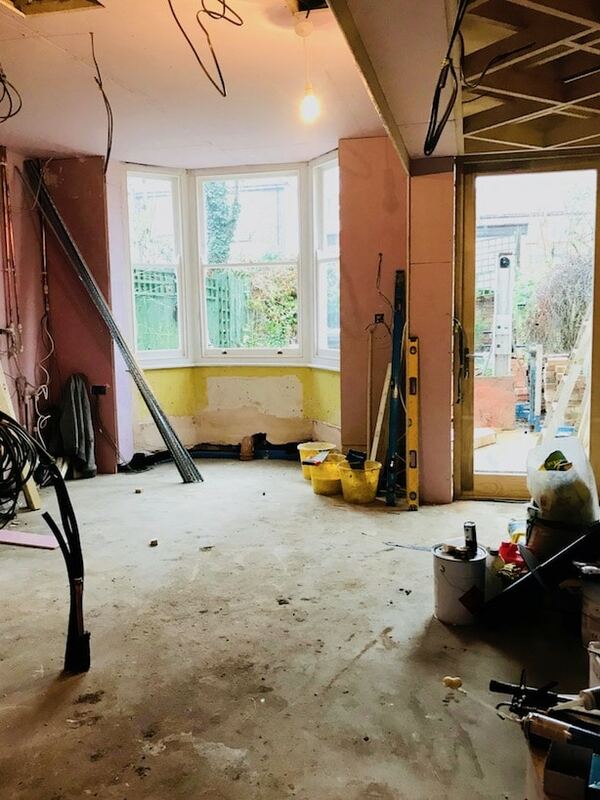 We know many opt for putting in bifold doors, but we really wanted to keep as much of the original exterior as possible… and the bay window just speaks to me ;) We had it double glazed by a brilliant family-run company in Waltham Abbey – The Conservation Sash Window Company. Thank you, Heart. Challenge accepted.